Rajiv Gandhi Equity Scheme must include mutual funds to control the risk for investors: Akshay gupta, CEO & Managing Director, Peerless Mutual Fund Peerless Mutual Fund focuses on smaller tier II and tier III towns. Its CEO and managing director Akshay Gupta tells Babar Zaidi how the proposed Rajiv Gandhi Equity Scheme will add depth to the markets, how difficult it is to convince first-time investors and why the scheme should include mutual funds as well. 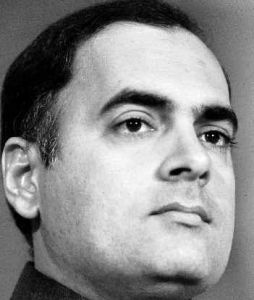 What's there for small investors in the Rajiv Gandhi Equity Scheme? Paying tax is a big concern for Indians and this new deduction will certainly be a big incentive to enter the market. Right now there are about 3.5 crore equity investors in India, but over 10 crore people earn more than Rs 2 lakh a year. My guess is that many of them will want to avail of this new exemption after they exhaust their Section 80C limit. They may not invest Rs 50,000, maybe Rs 10,000-20,000. Even so, this will bring long-term money into the market. It is a step in the right direction because it will give a fillip to equity investing. Besides, Rs 50,000 a year is a sizeable limit and will add depth to a market that is on FII steroids. Should mutual funds be included? Mutual funds should certainly be a part of this because a fund manager can handle the risk much better than a first-time investor in equities. There are indications that the scheme will be confined to the top 100 stocks but I don't think this is enough of a safeguard for small investors. Satyam Computer was an index-based stock and look what happened. Institutional investors had started exiting Satyam much before the scam broke out. Similarly, they got rid of Unitech much before the writing was on the wall. However, small investors got stuck with these stocks. Mind you, both Satyam and Unitech were in the top 100 stocks by market capitalisation. If a small investor is left holding such scrips and cannot get out before the lock-in period, he will be ruined. What is the way out? The government should open the scheme to mutual funds. Let mutual funds manage it and diversify the risk for the investor. Remember, these are first-time investors, who may not understand the risks involved. An investment of Rs 50,000 is a big sum for a person earning Rs 5 lakh a year-it's more than the money he earns in a month. Mutual funds will allow him to invest systematically through SIPs, which will reduce his risk. Peerless Mutual Fund focuses on tier II and tier III towns. What has been your experience there? The concerns of the first-time investor are no different from those of the repeat investor. The risk-reward ratio is the uppermost concern. They compare the returns with those of fixed deposits and real estate. The memory of the Indian investor is very short and his investment strategy is sharply focused on certainty of returns. He will prefer to lock in at 9% assured returns offered on a fixed deposit for five years even though equity investments would yield a better return.